Jen Tooker, a member of the Board of Finance, said she is excited to be running on the selectman ticket with First Selecman Jim Marpe. WESTPORT — A former student body president of her Catholic high school in Dallas, Jen Tooker has always had a passion for public office. Serviam, a Latin word and the motto of Tooker’s high school, Ursuline Academy, which means “I will serve,” continues to be a driving force behind the way she lives her life and her decision to run for second selectman, joining First Selectman Jim Marpe on the Republican ticket. “I think when you’re educated, at least for me, as a product of 100 percent Catholic education, it’s in my blood to give back. That’s part of how I was educated is that there’s an expectation and a desire to give back and to serve and for me, public service was the route I wanted to do that,” Tooker, a University of Notre Dame graduate, said. Tooker, 47, moved to Westport in 2008 with her husband, Mo, and children, Jack, Riley and Nicole — all Westport public school students. She has been a fixture in Westport since moving to town. After initially serving on the Conservation Commission, she was elected to the Board of Education in 2011 and then was voted onto the board of finance in 2013, the same year she retired from Gen Re. “My sweet spot, my comfort zone, is certainly with numbers,” Tooker said of her natural progression to the finance board. She volunteers on three educational boards — two based in Bridgeport — and is a member of the board of trustees for the Westport-Weston YMCA. 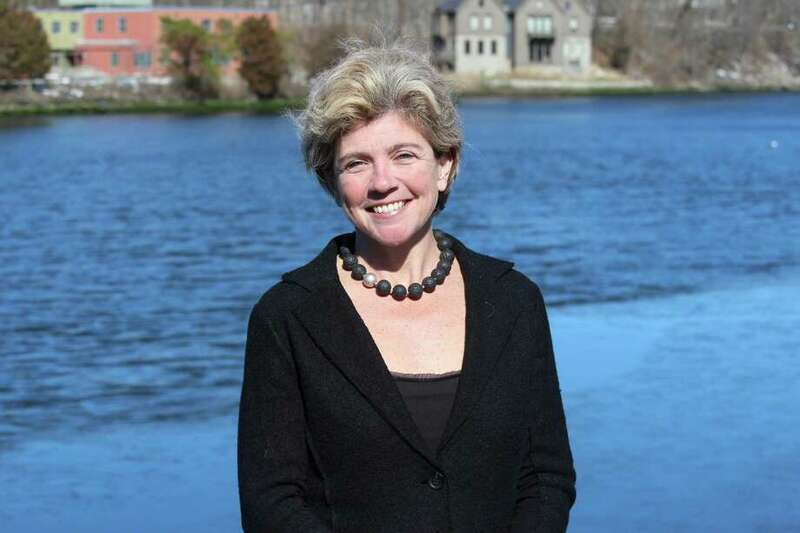 When she graduated from Notre Dame, Tooker parlayed the skills she learned majoring in economics and international relations into a successful 22-year career in various management and leadership positions at Gen Re that took her from New York to Chicago and the United Kingdom, and finally Westport. Her entire family holds dual British and United States citizenship. She was summoned back to the United States by Gen Re to lead marketing and communications for North America and was subsequently named the global manager for marketing and communications. Although she thoroughly enjoys serving on the board of finance, Tooker said it was an easy decision when Marpe asked her to be his running mate. Tooker said the town has done a good job keeping the mill rate “constant,” despite the dire financial state of Hartford. As second selectman, she said she would work to strike a balance between the unique services the town provides and limiting taxes. She said the town is undergoing a great deal of change, and it is an exciting time for Westport.